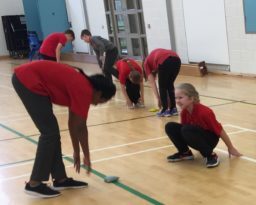 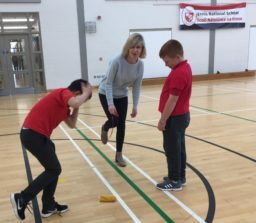 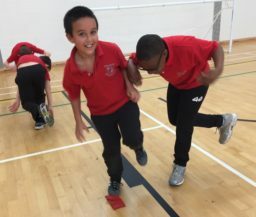 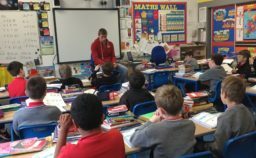 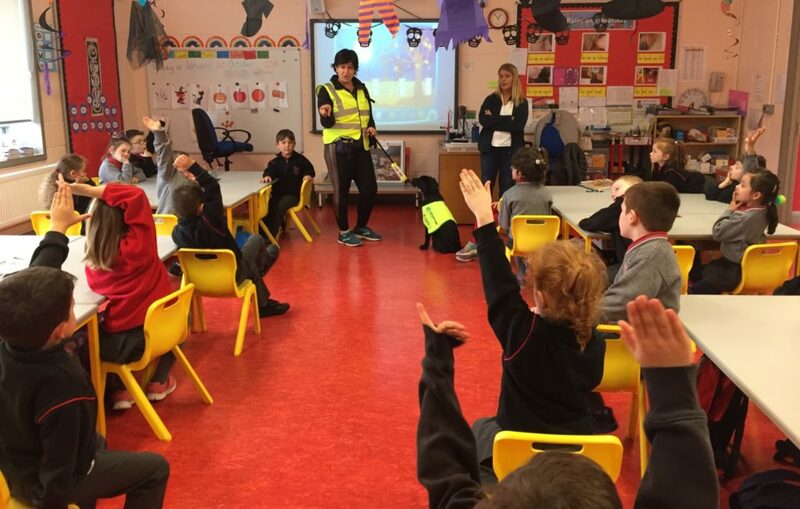 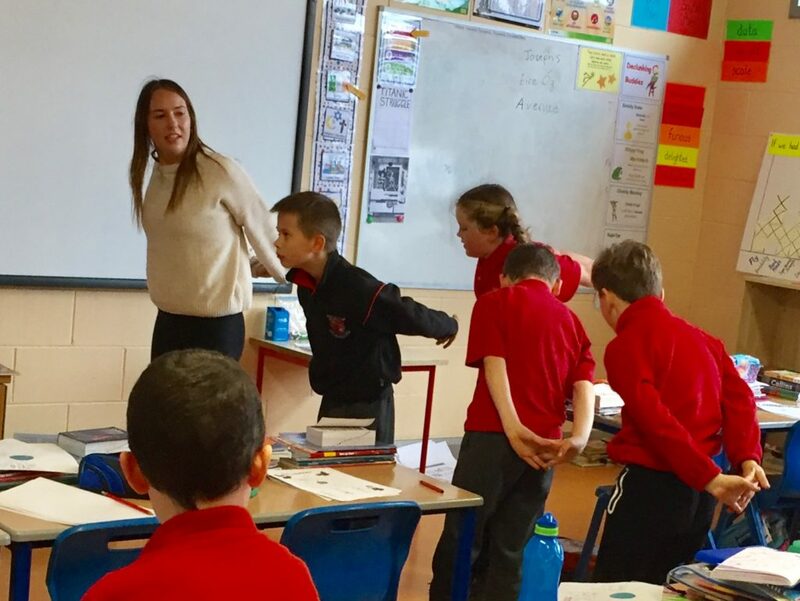 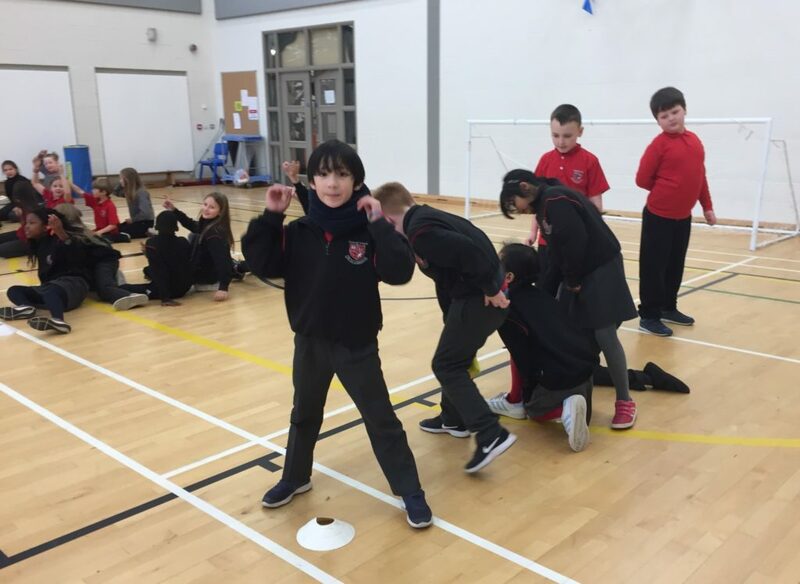 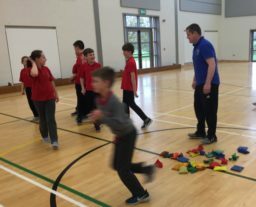 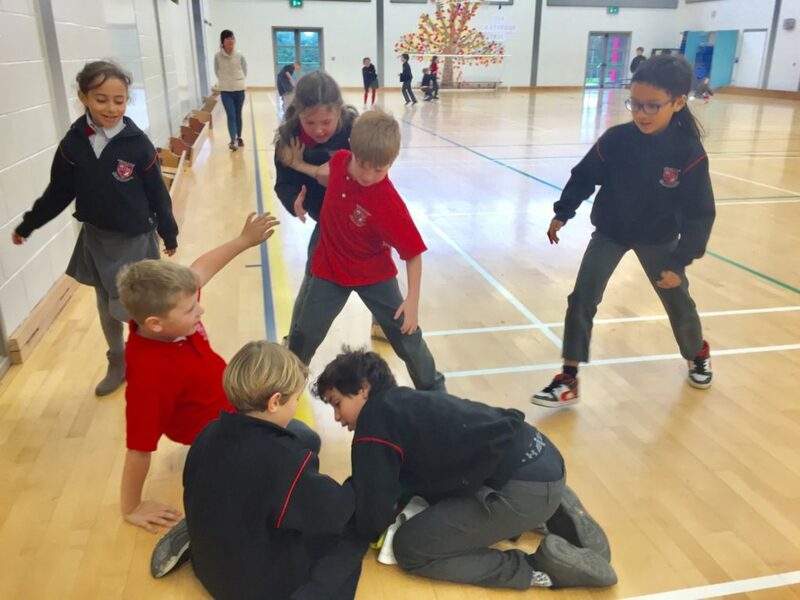 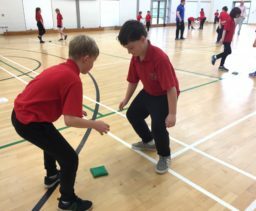 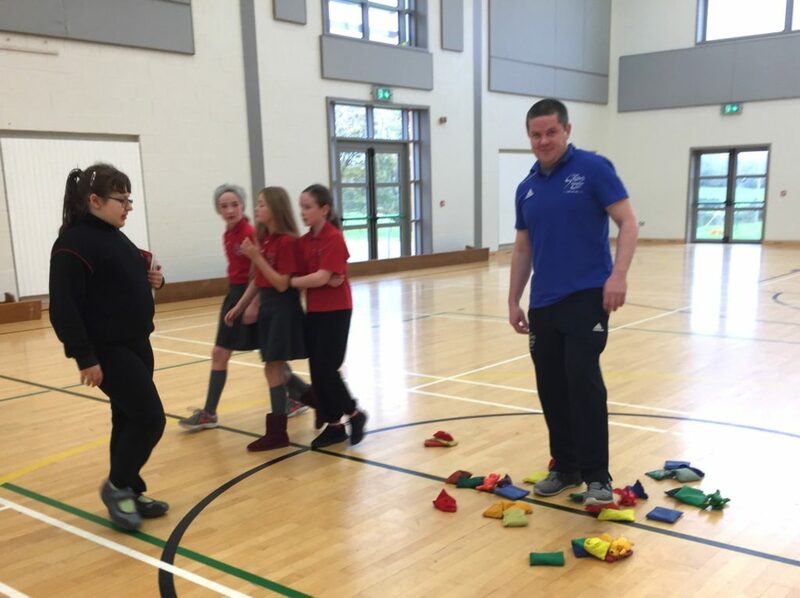 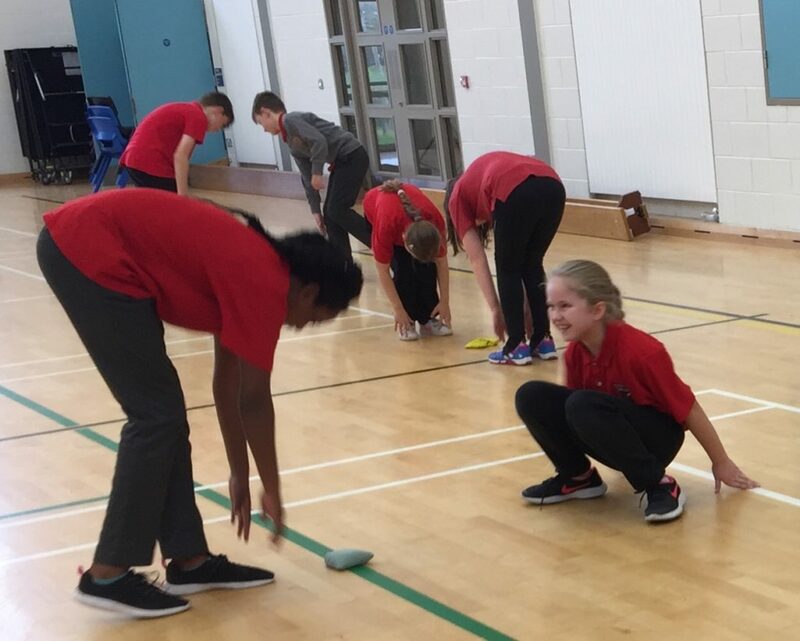 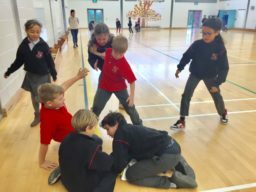 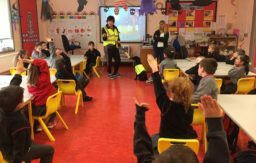 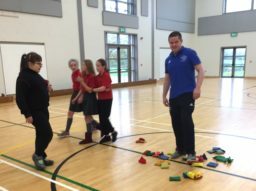 On Day 3, Bryan from Clare Sports Partnership came in and worked with second, third and fourth classes on collaborative games. 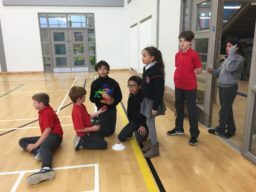 He created lots of new but fun challenges for the students ! Day 3 also featured our Surprise Visitor slots. 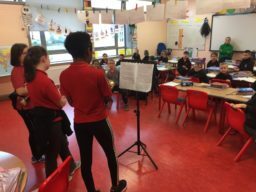 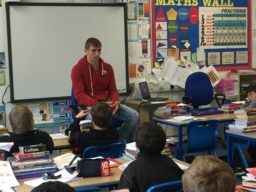 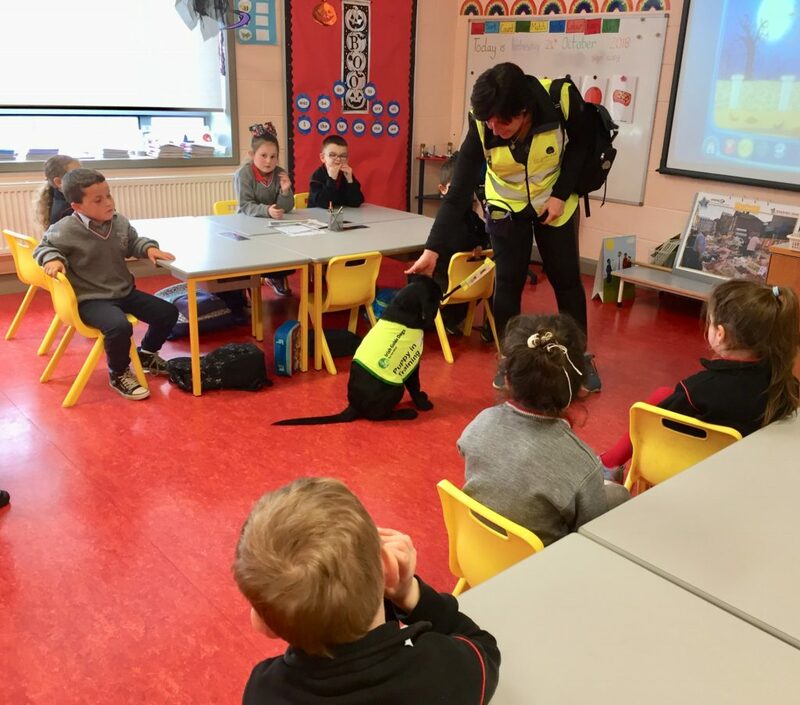 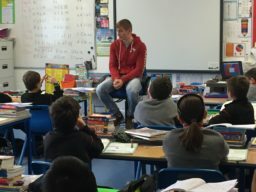 Many of the Surprise Visitors came from within the school, both staff and students, who called to another class level to share their talents and insights. 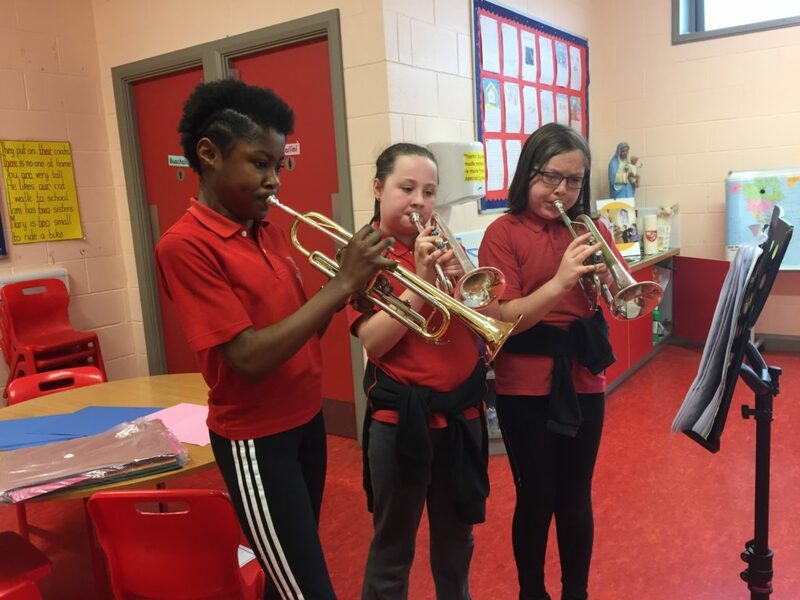 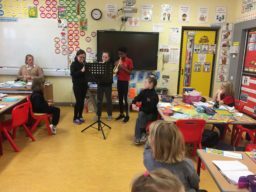 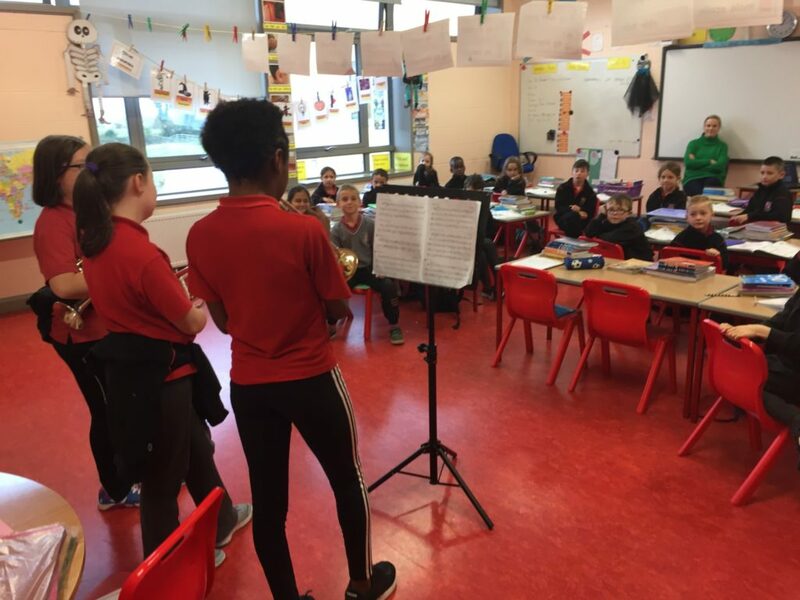 First and second classes were visited by pupils Mirabel, Eva & Fia who played their trumpets/ cornets for the children and told them a bit about the history of their instruments. 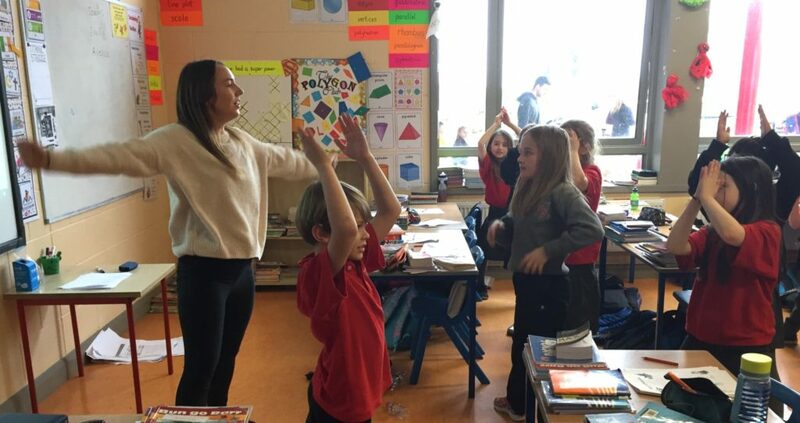 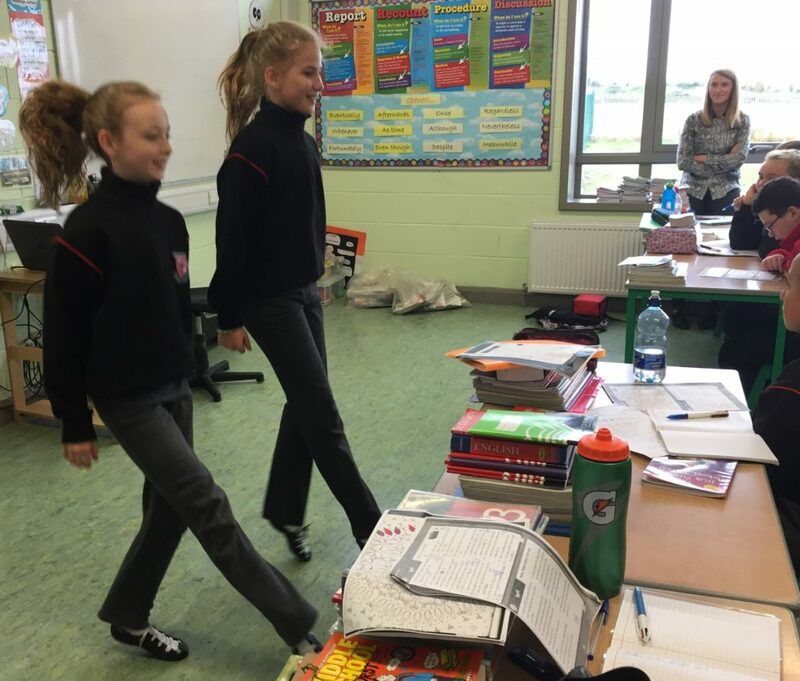 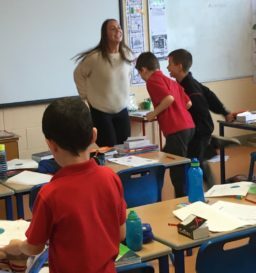 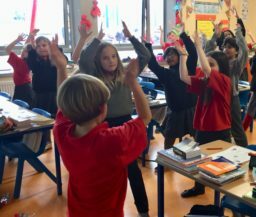 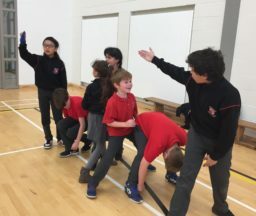 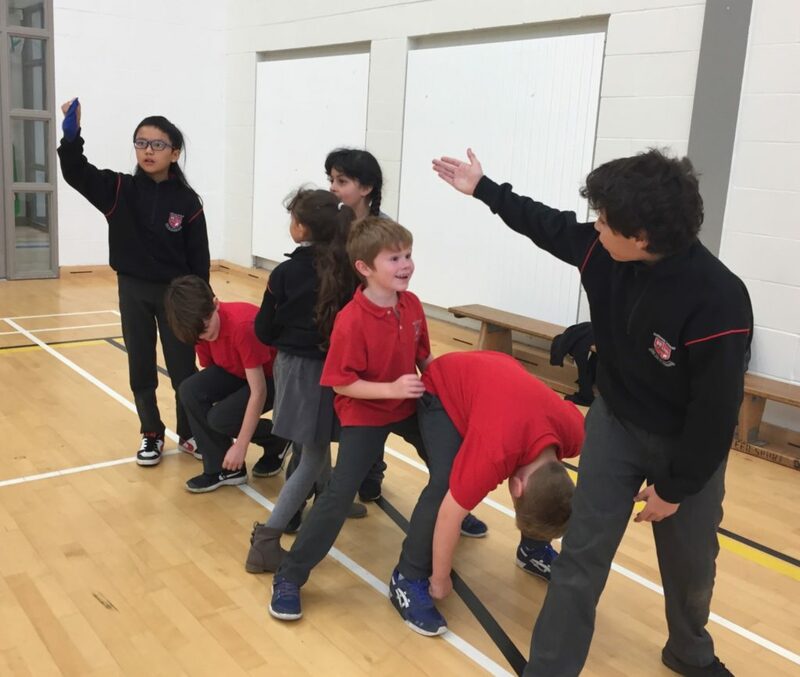 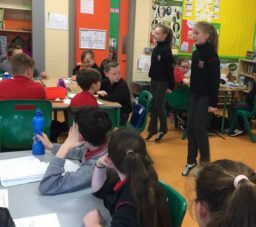 Third classes were visited by Ms. Hannah O’Sullivan who led them in some dance routines. Mr. David McInerney called to fourth classes to talk about the importance of friendship and teamwork. 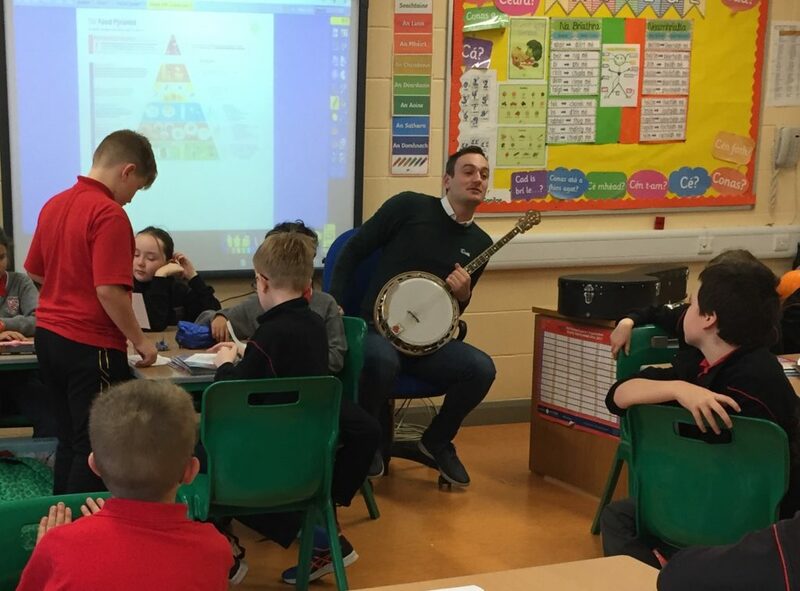 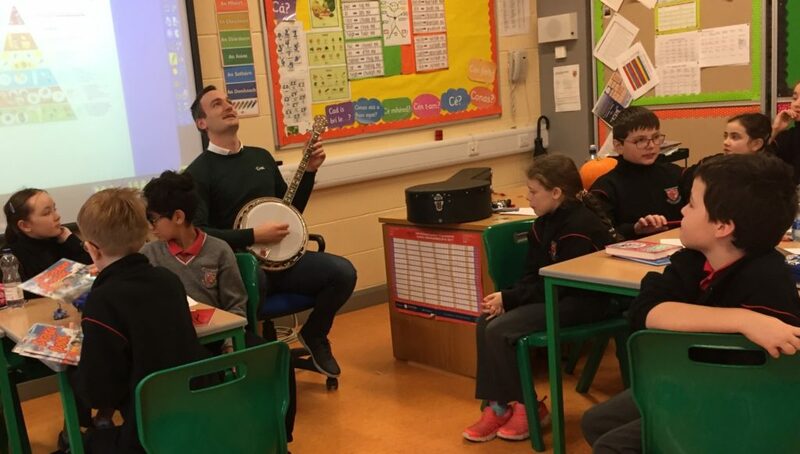 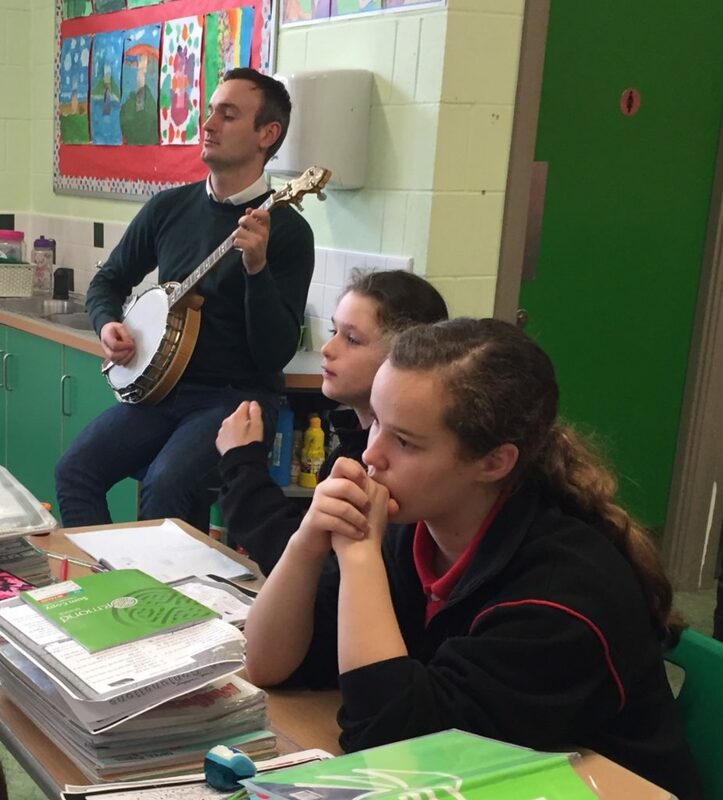 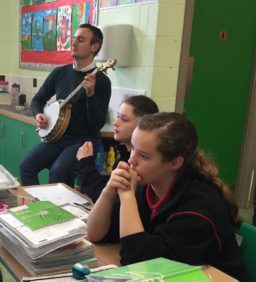 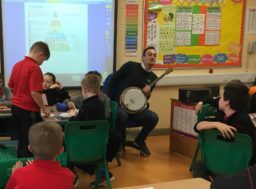 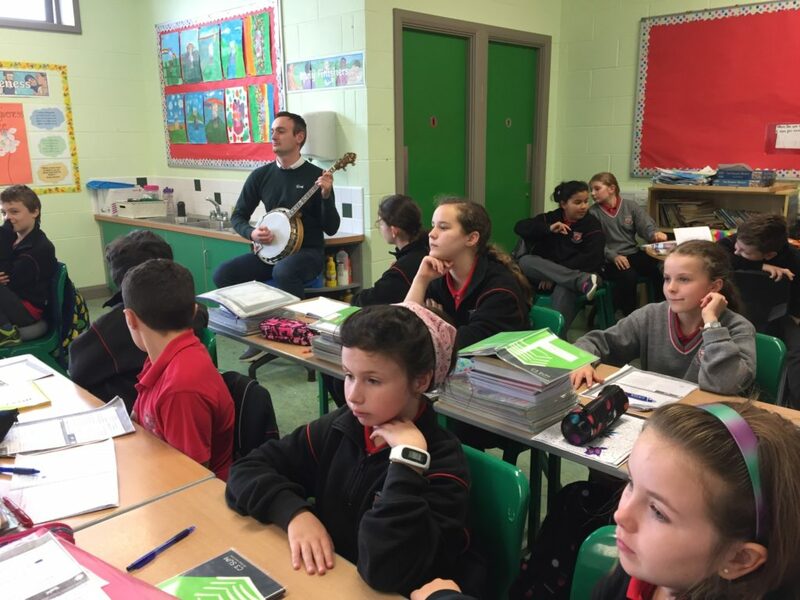 Fifth classes enjoyed Mr. Keith O’Loughlin’s top-class banjo playing , accompanied by step dancers Emily & Olivia from 6th class. 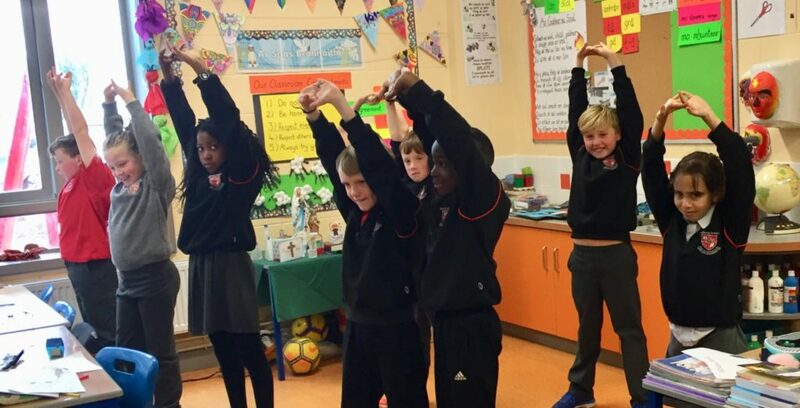 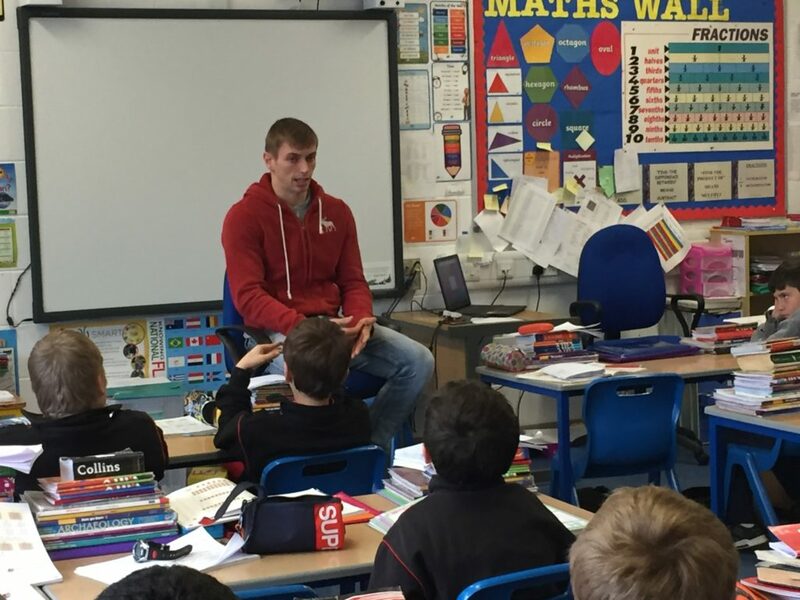 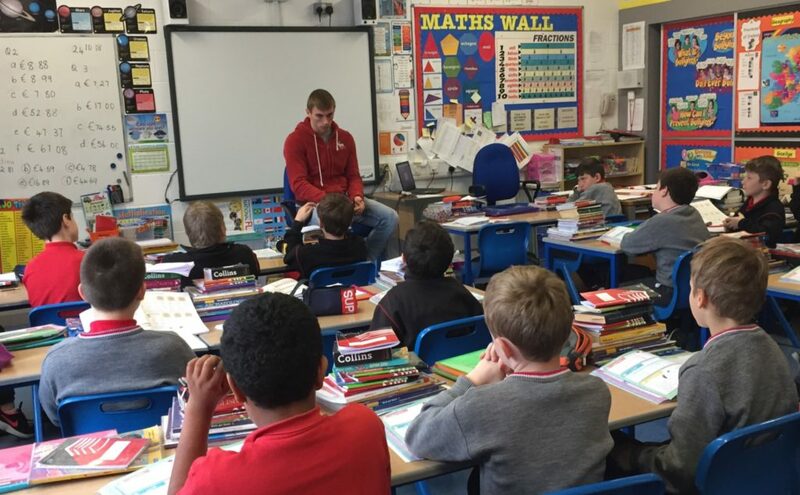 6th class were visited by Mr. Bob Enright who worked on aspects of the Friends for Life programme with them. 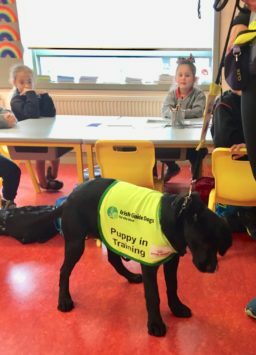 Infant classes had a very special Surprise Visitor. 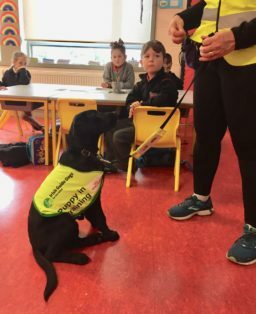 Puppy-in-training Ipsy called in along with foster owner Maeve. Ipsy will hopefully grow up to be a therapy dog either as a guide dog for someone with visual difficulties or perhaps for a child with autism. 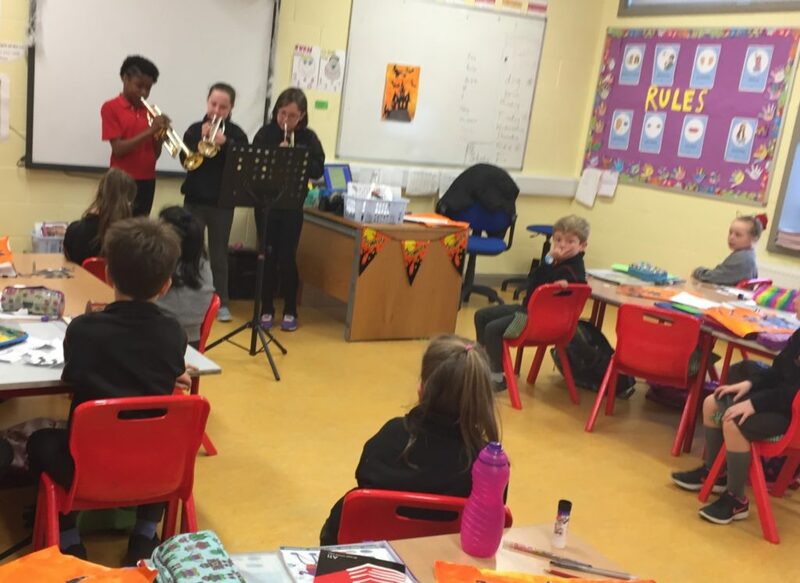 A big Thank You to all our Surprise Visitors! 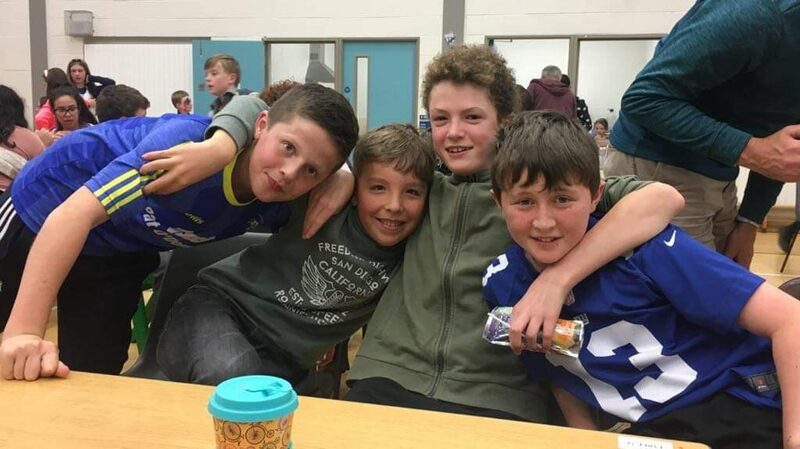 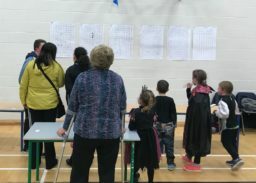 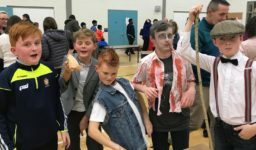 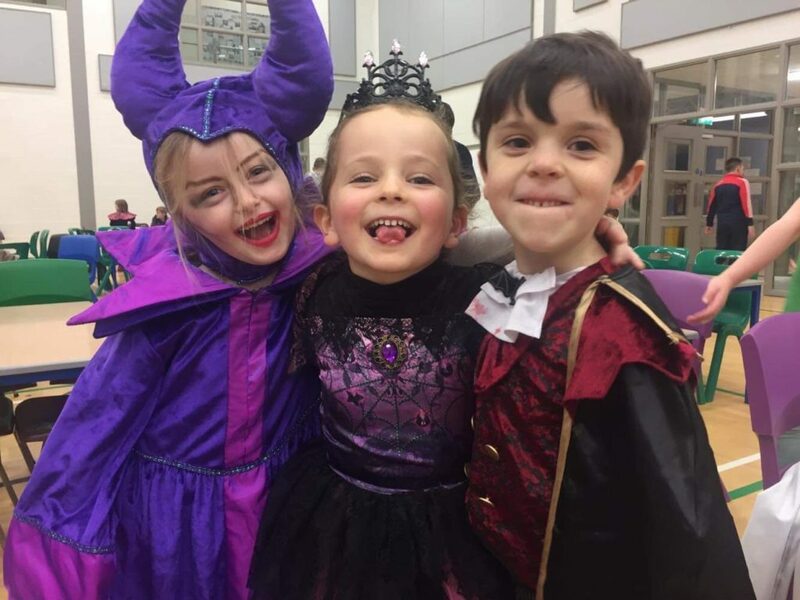 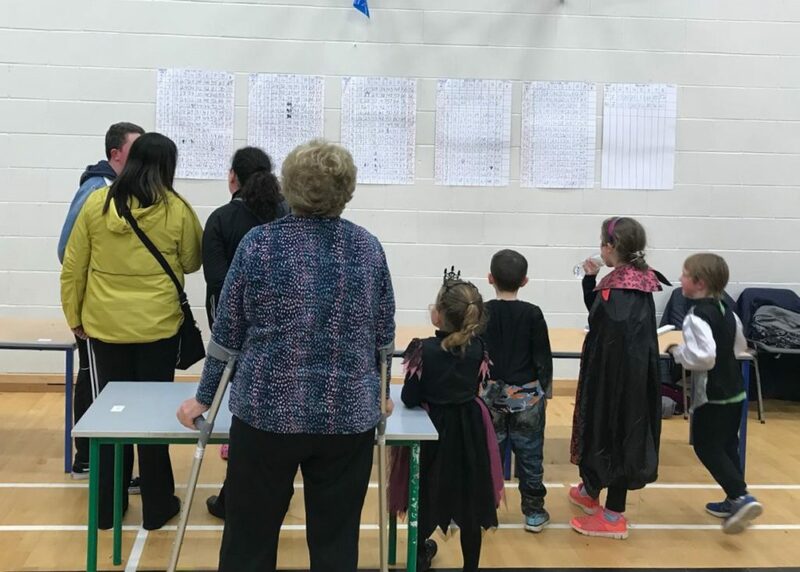 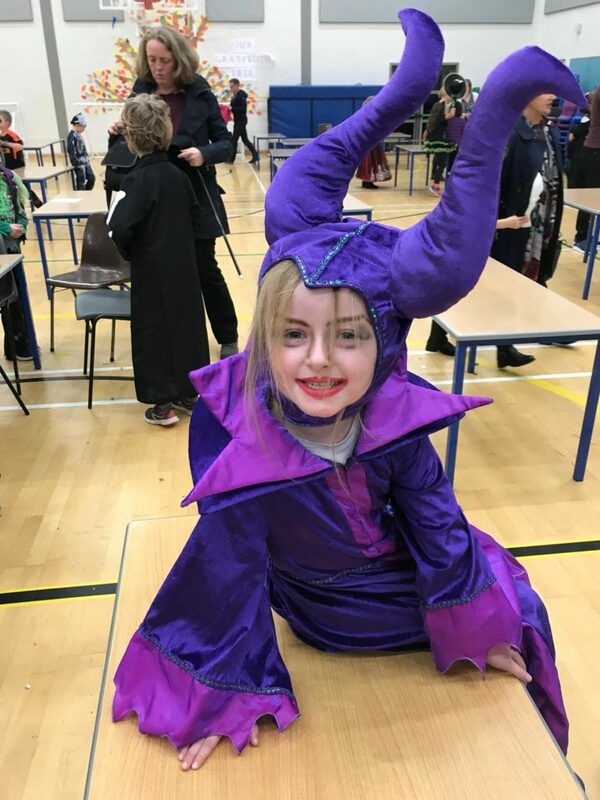 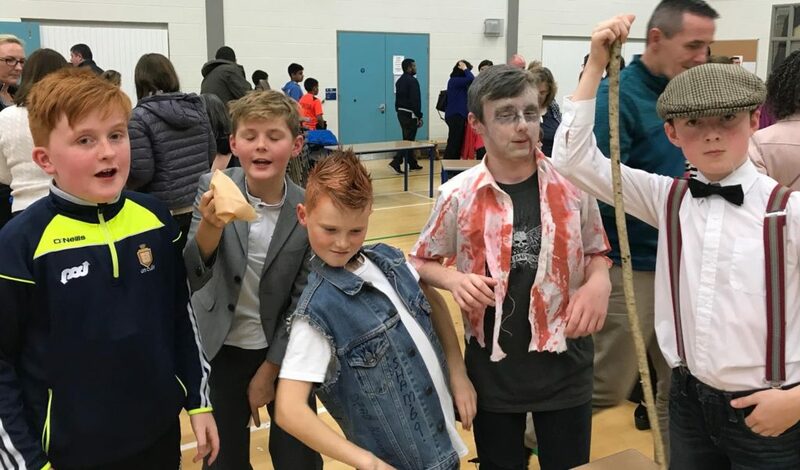 The day culminated in our Halloween Family Fun Quiz that night with the largest ever number taking part, and showing off their costumes.